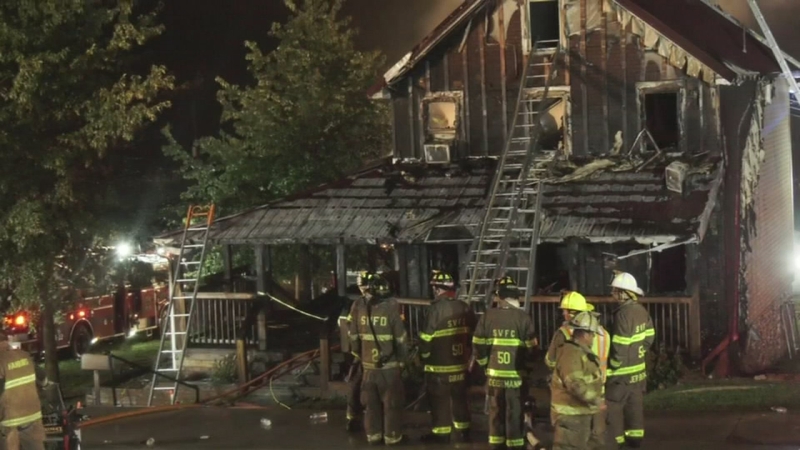 Smoking material caused fire that killed expectant mom, boys in Berks Co.
HAMBURG, Pa. (WPVI) -- Investigators say discarded smoking material caused a fire that killed a pregnant woman and her two young sons in Pennsylvania. State police in Berks County ruled the Sept. 2 fire accidental. Police said Thursday there was no evidence of any criminal intent. A pregnant woman and two children were found dead after a fire in Berks County. The fire originated on a first-floor rear porch at a home in Hamburg, about 55 miles (88 kilometers) northeast of the capital city, Harrisburg. The victims were 27-year-old Jennifer Wilder and her two sons, ages 5 and 2. Officials say Wilder was about six months pregnant. A man was able to escape by jumping from a bedroom window.